Visit the most exotic regions of Alaska. 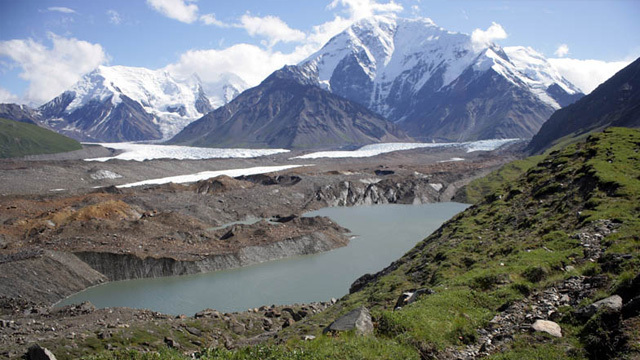 Get access to many glaciers high in Alaska's mountain wilderness. A beautiful bush flight transports you to and from our remote mountain airstrip. This strip is located on a terrace above Trident Glacier in the heart of the Alaska Range. Important aspects of these ecotourism adventures are their low impact on this Alaska sub-arctic ecosystem and the extreme wildness of our trip locations. For those who have limited time or who aren't comfortable with a remote Alaska Range wilderness not far from our basewilderness experience, a flightseeing trip is a low impact opportunity to experience the beauty and wildness of Alaska. We believe that the Alaska Wilderness is invaluable. The basis for our business is an appreciation and respect for this amazing Alaskan Wilderness. We are second and third generation Alaskans with a lifelong commitment to this land and its' natural wonders. We provide a variety of options for Alaskan wilderness adventures. Our services include Alaska flightseeing trips that will allow you to view many of Alaska's natural wonders from high up. Alaska Flightseeing is one of the best ways to spot large herds of animals and to behold the rugged beauty that makes Alaska's Wilderness so legendary. We also offer drop-off Alaska float trips on wild Alaskan rivers, drop off Alaska unguided fishing trips, and Alaska air transportation for remote hiking and camping. Our Alaska Air Service offers access to many glaciers high in Alaska's mountain wilderness. Call us today to go on any of these Alaska Wilderness Tours. Alaska glacier trips begin with a scenic forty- minute Alaska flightseeing tour from Delta Junction along the north face of the Alaska Range to a gravel airstrip above Trident Glacier. The flight offers a close-up view of several rugged Alaska mountain peaks & Alaska glaciers. We offer the safest and most exciting Alaska Glacier Tours in the region! All of our clients go home happy after experiencing our exceptional Alaska Air Tours. Give us a call to reserve your seat for a breathtaking Alaska glacier trip of a lifetime. Alaska Wildlife Viewing Tours are exciting and you will get to see Dall sheep, Caribou and possibly Alaskan Bears & Wolves can be seen. As you cross the Tanana Valley you can see Moose and one of the few free ranging Bison Herds in the U.S. Our Alaska Air Tours also offers the opportunity to experience the beauty, vastness and remoteness of Alaska's Wilderness. Join our Alaska Air Service for your next Alaska wildlife viewing tour. 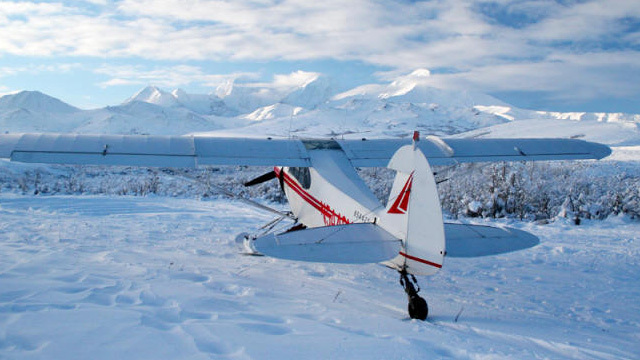 Please call us today because space is limited on all of our Alaska Flightseeing Tours. 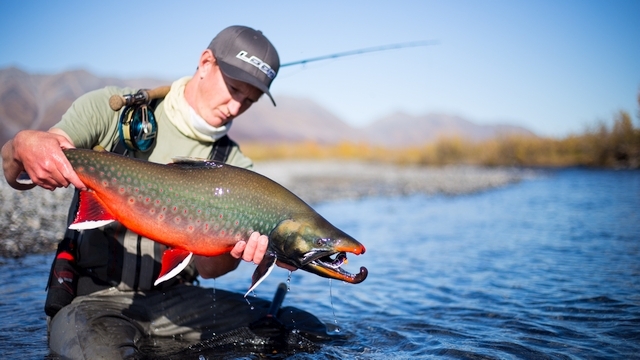 Alaska Fly In Fishing offers Anglers access to World Class Alaska fishing opportunities. The Kotzebue area has many remote Alaska Rivers & Streams that support various species of sport fish. Our Alaska Air Service will fly you in to go Dolly Varden fishing, Northern Pike fishing and Sheefish fishing. We can also fly in to areas that have Arctic Grayling fishing, and Chum Salmon fishing. This is an Alaska unguided fishing trip, so you need to bring conventional tackle or fly fishing gear. Alaska fly in fishing offers you a chance to fish in complete silence aside from Alaska's natural wonders. Alaska Moose Hunting: Clearwater Alaska Outfitters offers quality guided hunts for moose, grizzly and black bear. Golden Eagle Outfitters Inc. is a family owned and operated FAA certified part 135 air taxi. We are fully insured for flight seeing, drop off and pick up service! We are second and third generation Alaskans with a combined 60 years of accident free bush flying. The beauty and vastness of the Alaskan Wilderness increasingly astounds us and we will take great pleasure in sharing it with you and your family! Please call us today at 1-907-388-5968 to talk about these trips and how you can join us!